Valentines Day. The should be day of romance. 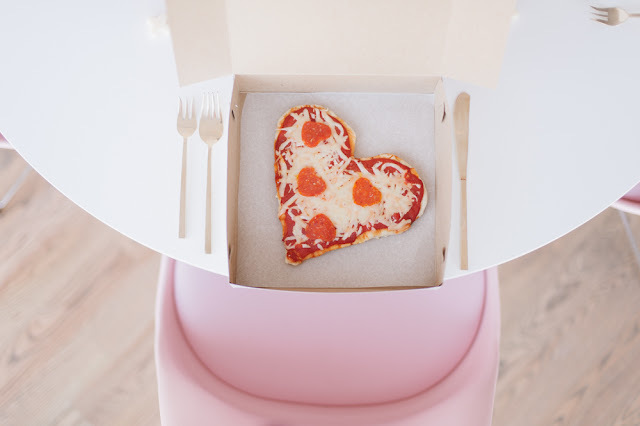 I'll be frank, Valentines Day isn't much about celebrating my relationship with my man, TJ. 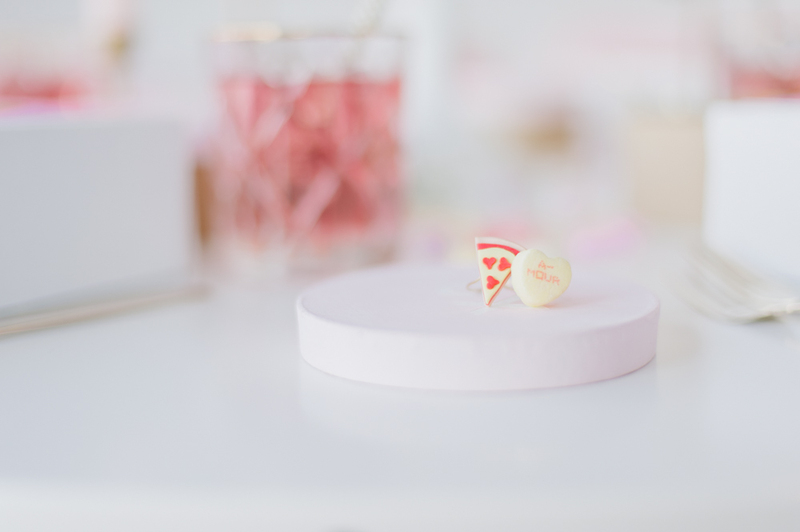 He brings me breakfast in bed almost every morning, flowers at least once a month, and takes care of me like it's his job. 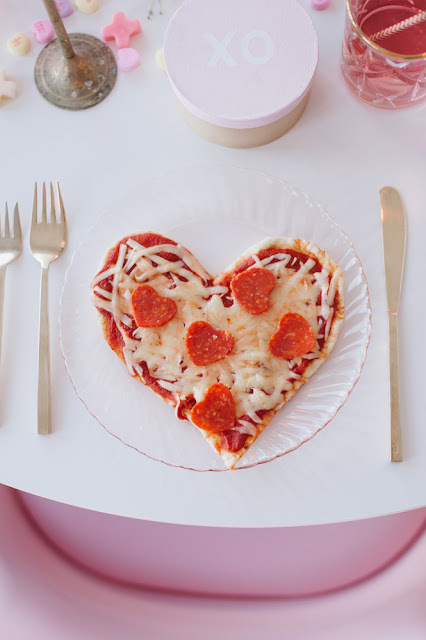 I make his favorite meals and desserts, love him unconditionally and tell him how handsome he is way to often. 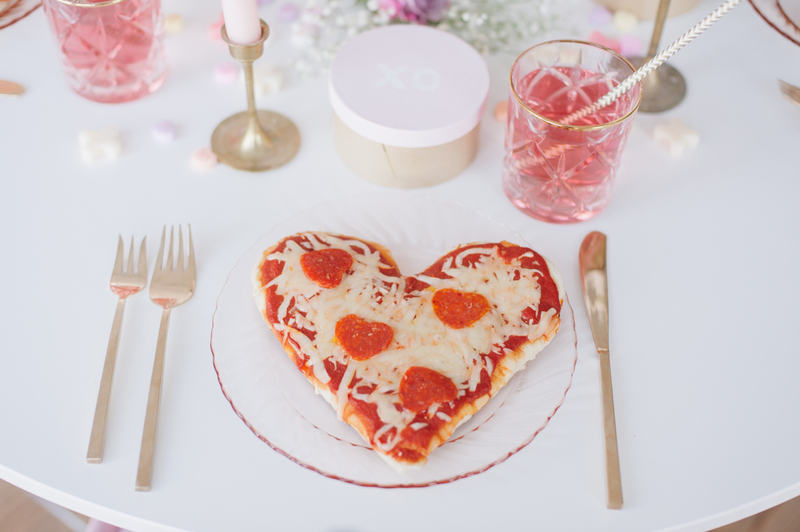 We are a pretty cheesy couple of lovebirds. 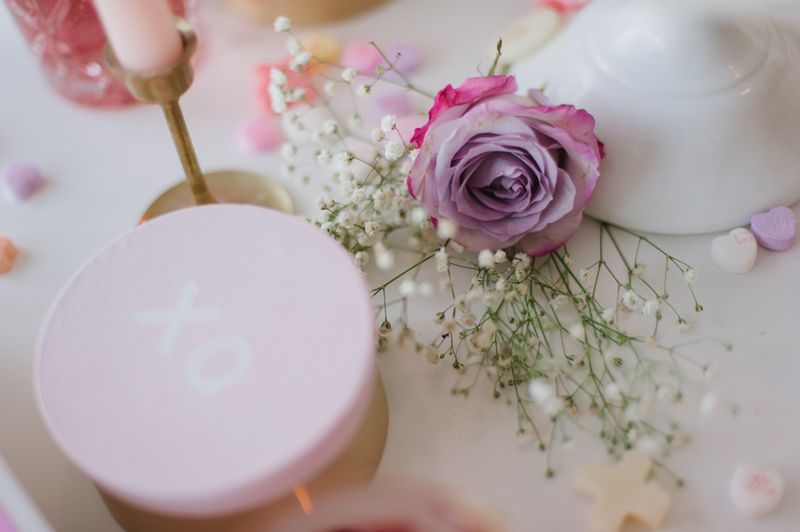 We also are stubborn, and don't like to be told when buy things for each other by consumer holidays. 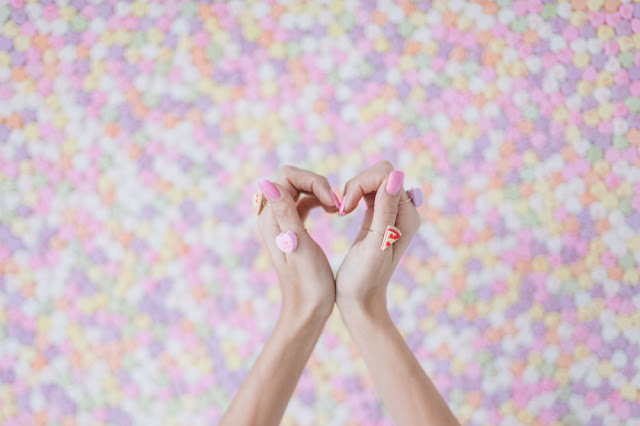 So as much as I loooove hearts and pink and celebrating the big L.O.V.E, it's always been more about family and friends for me, and Nat too. 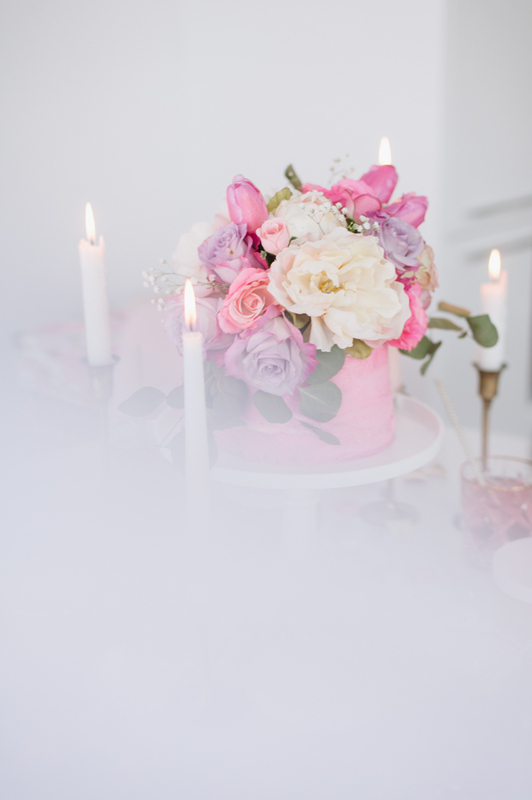 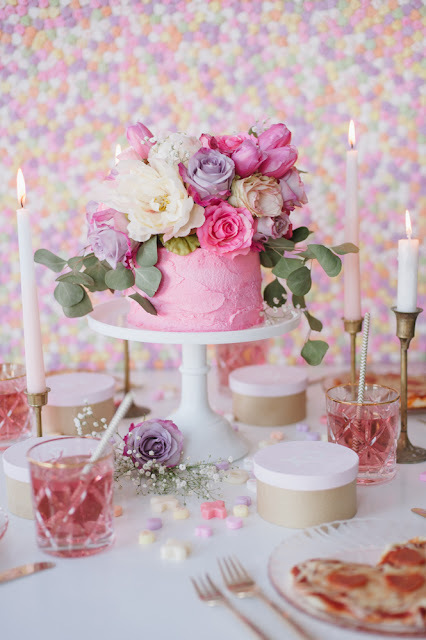 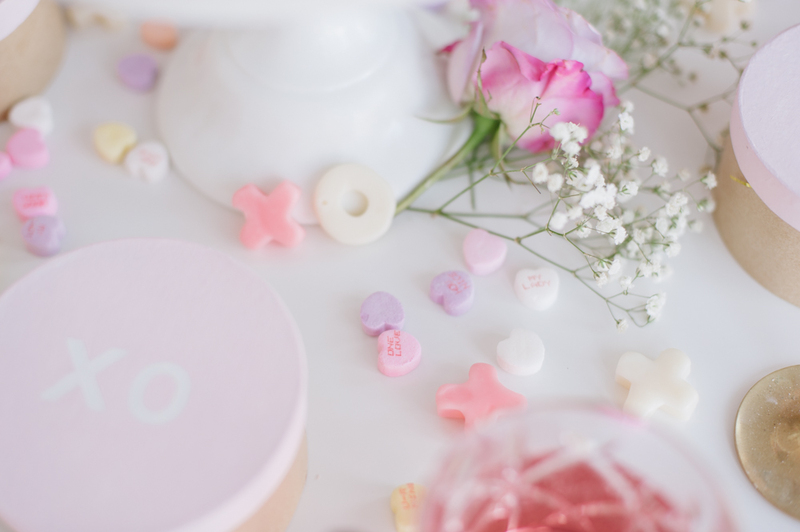 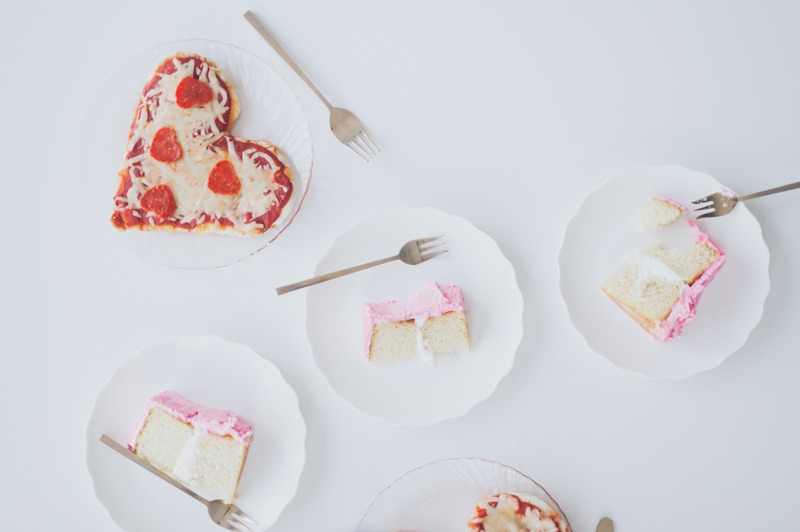 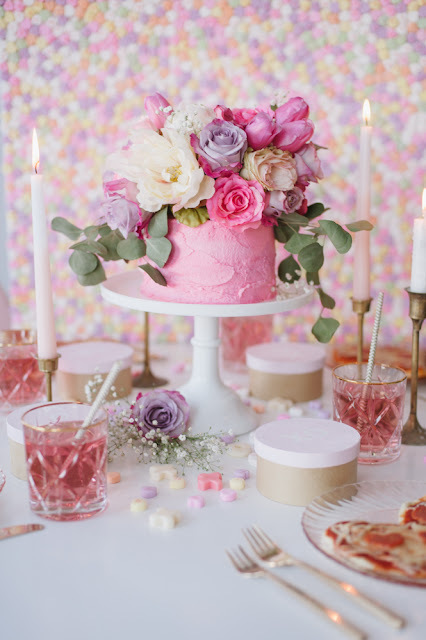 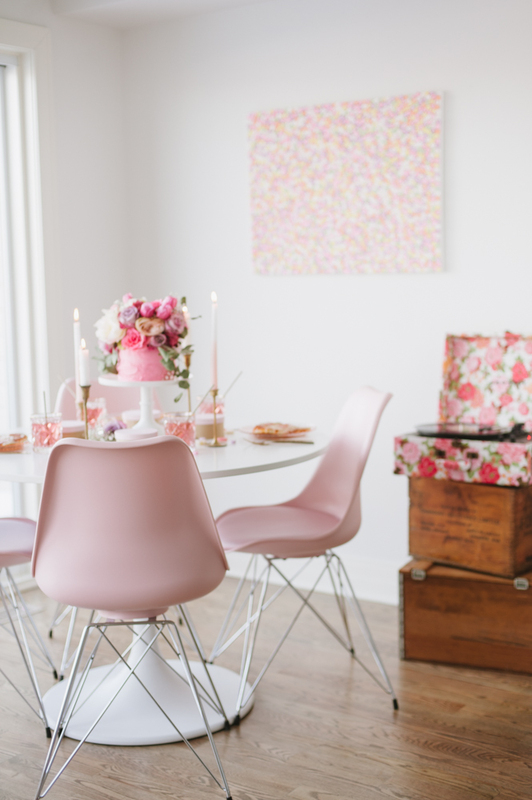 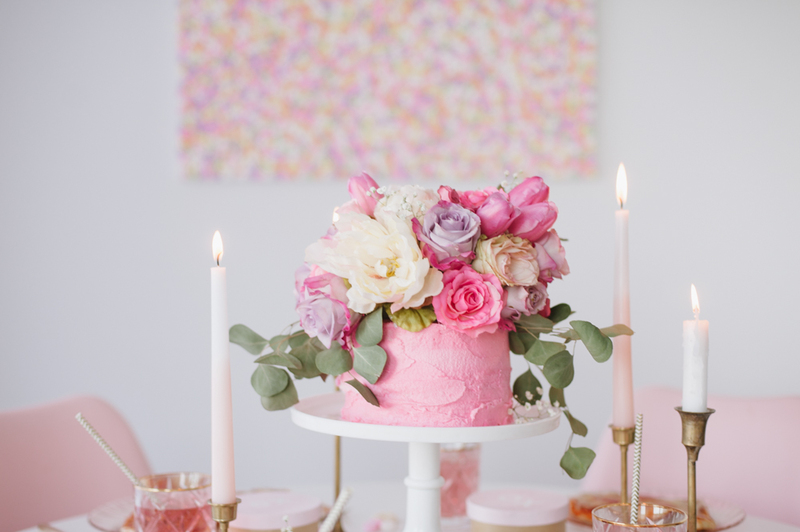 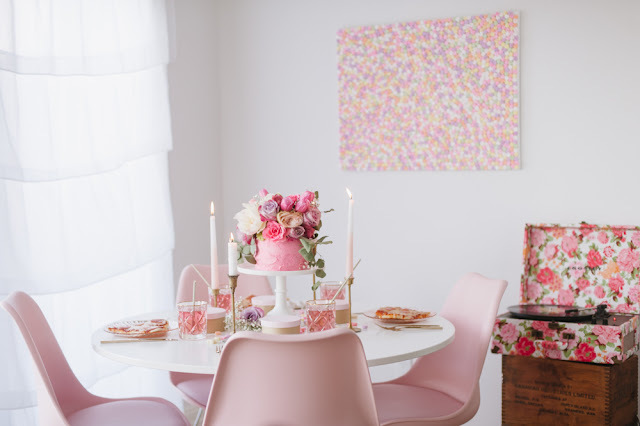 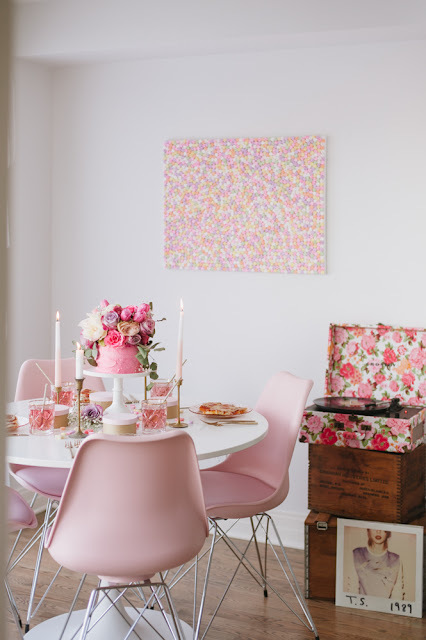 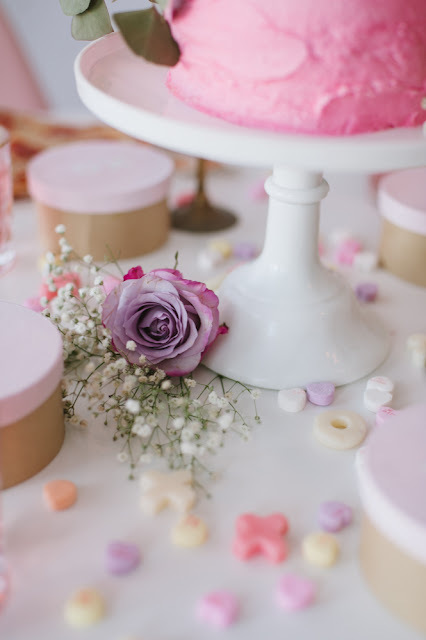 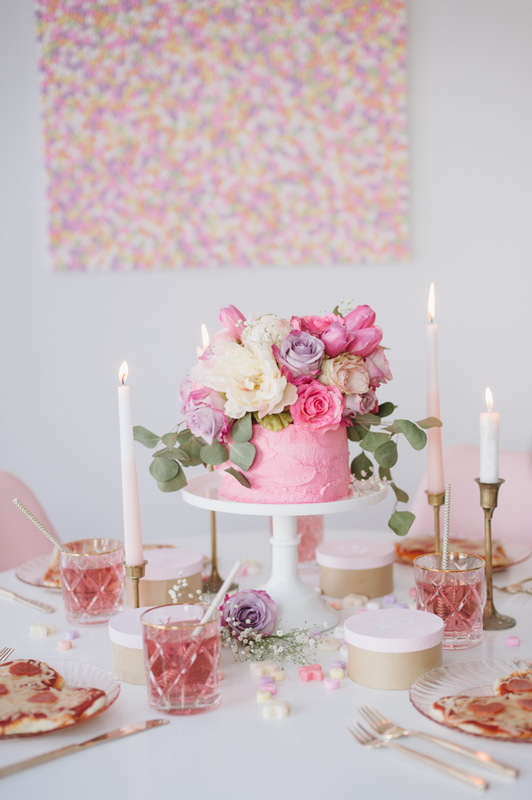 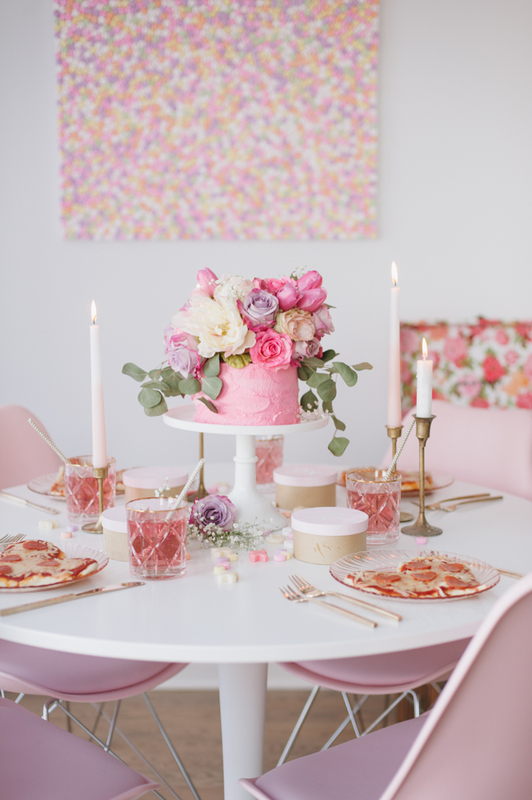 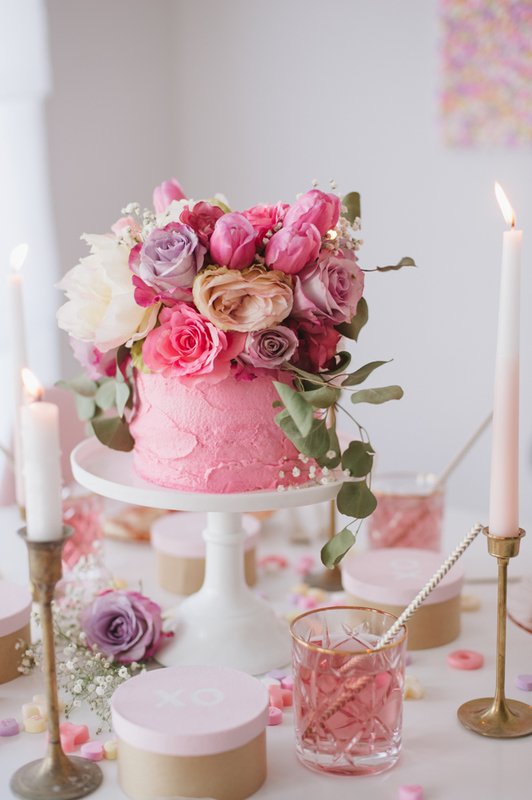 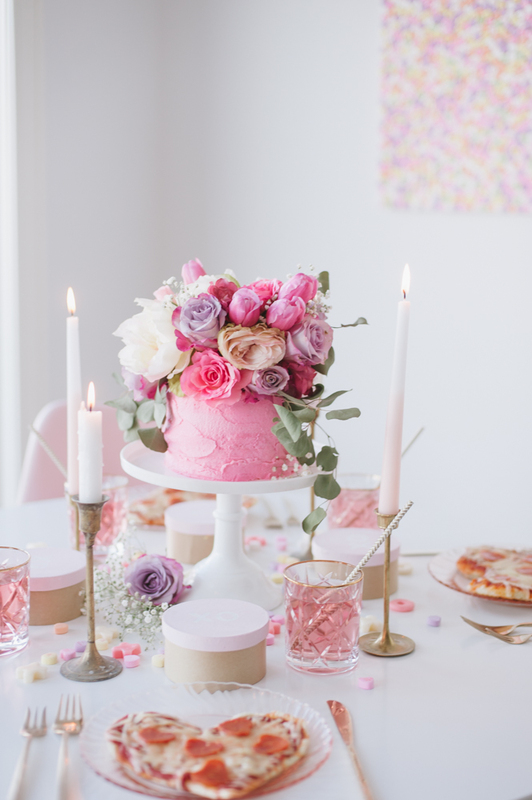 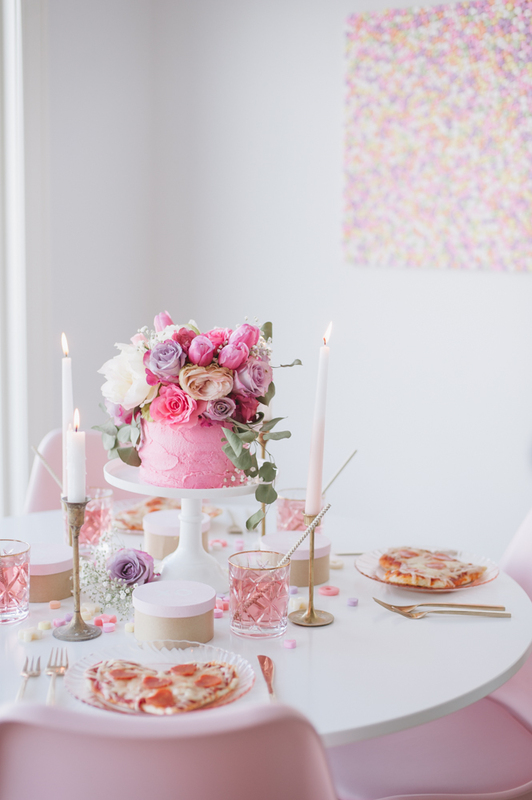 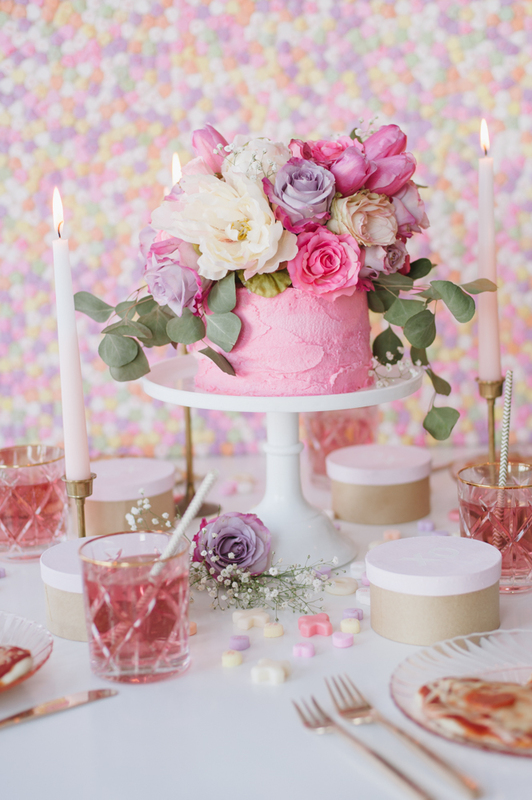 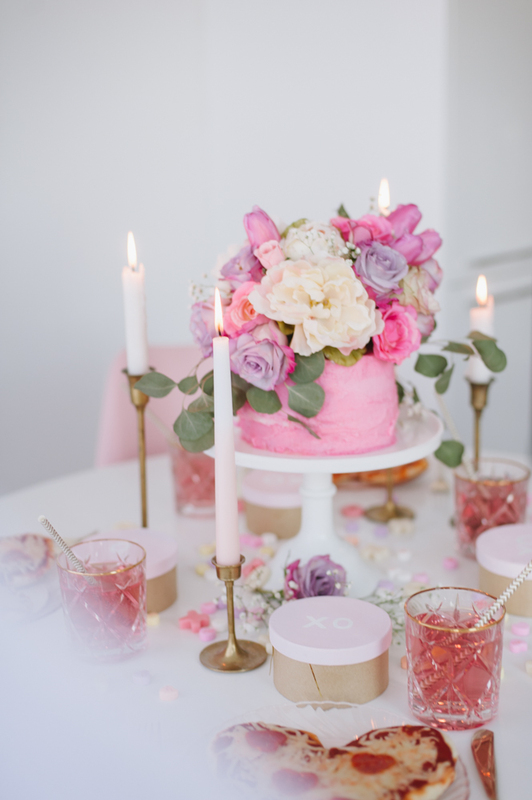 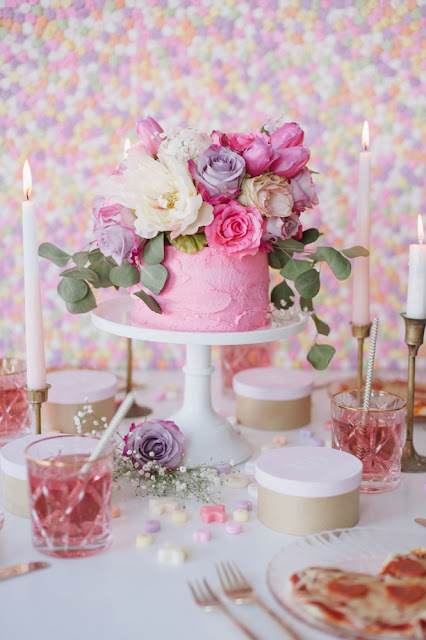 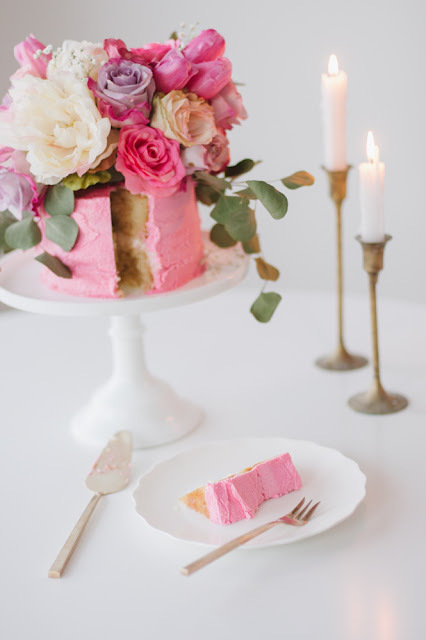 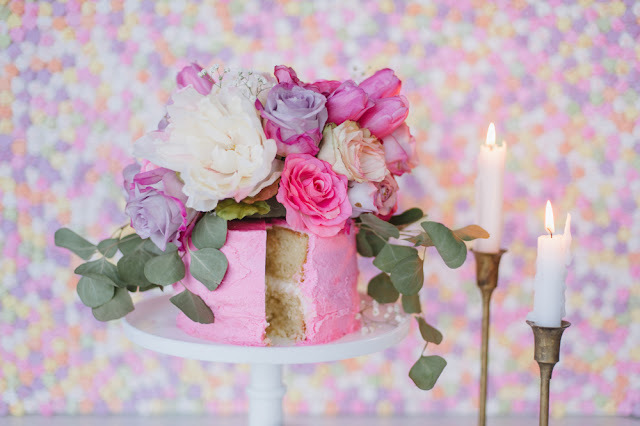 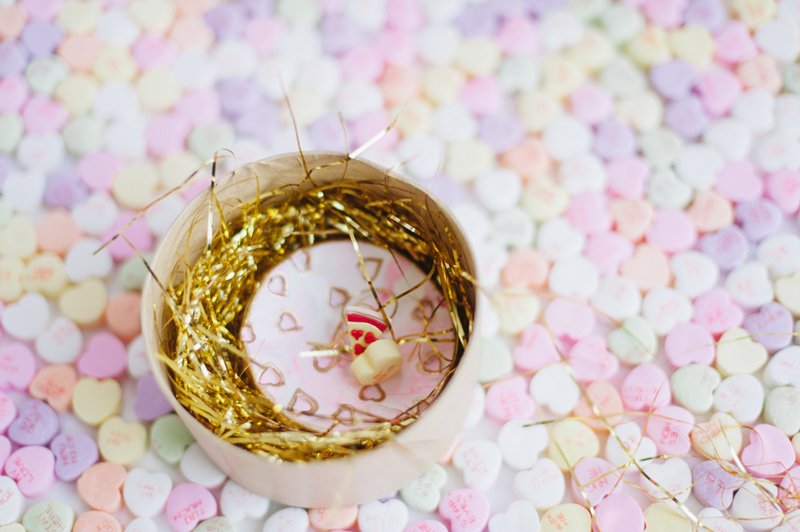 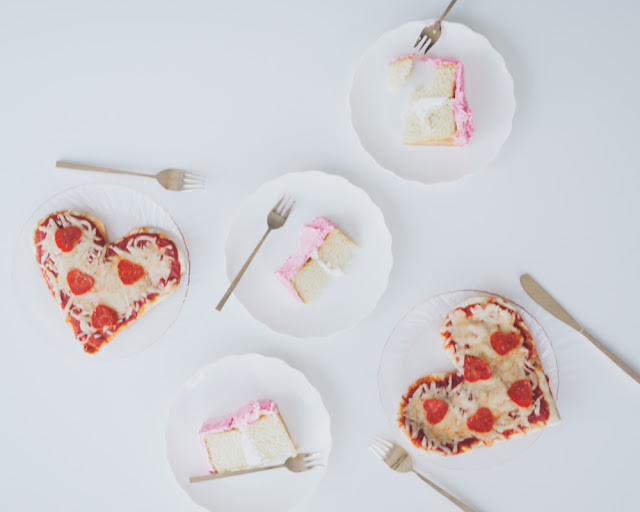 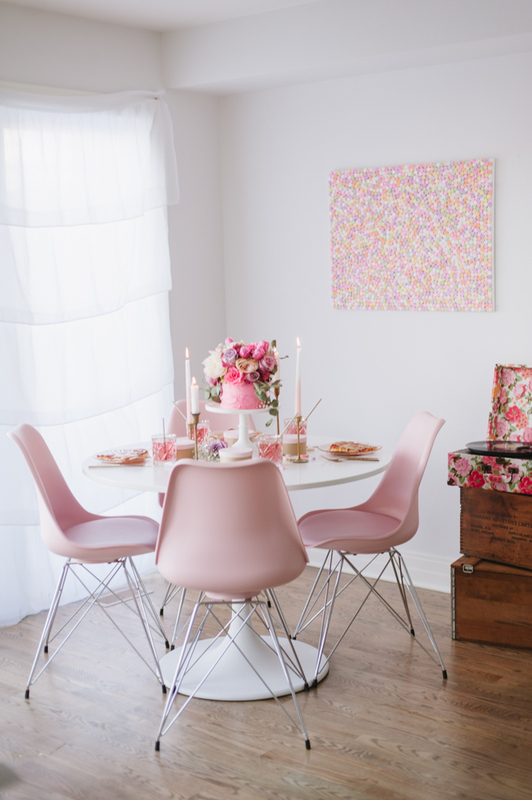 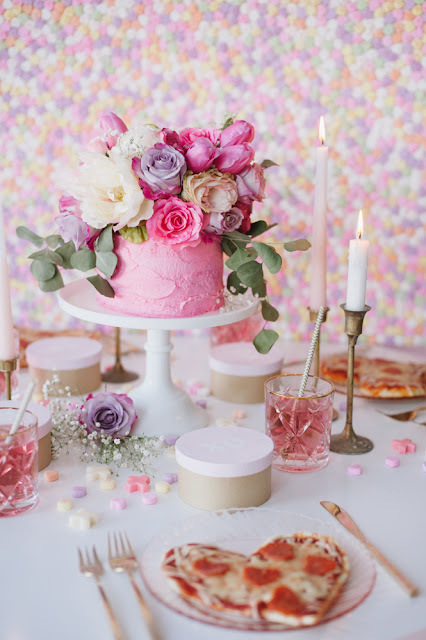 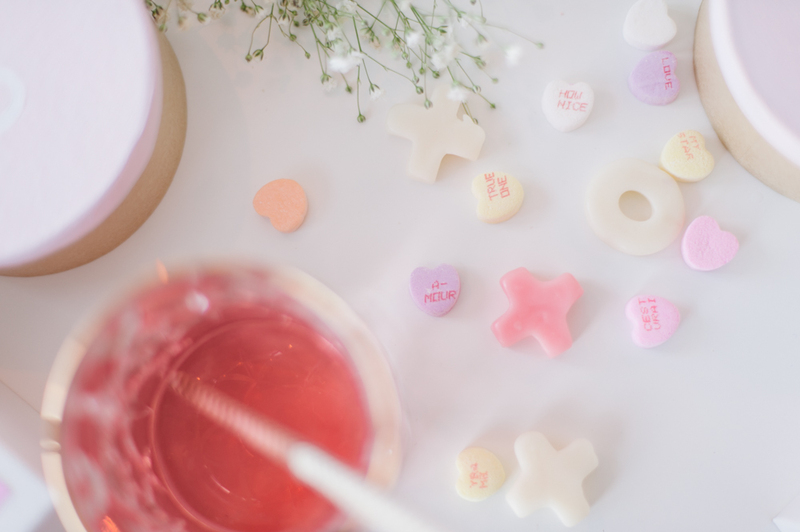 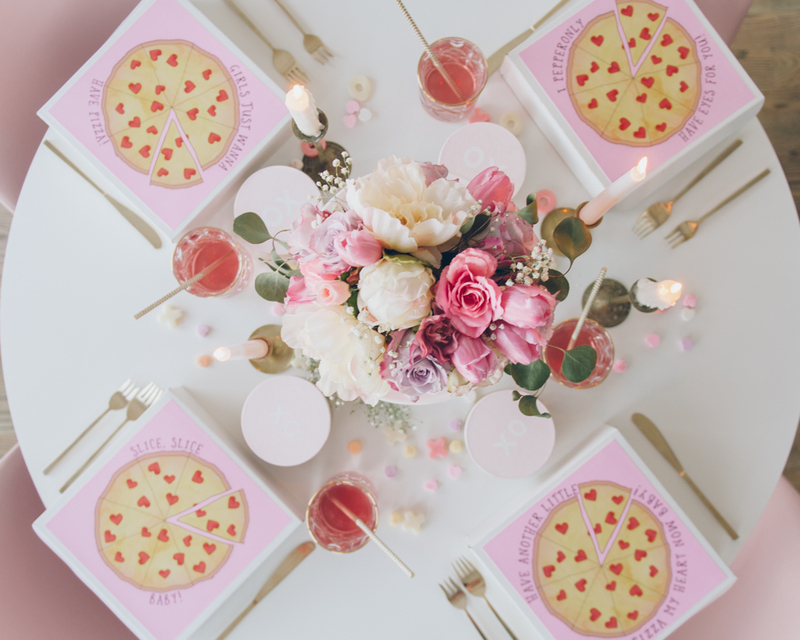 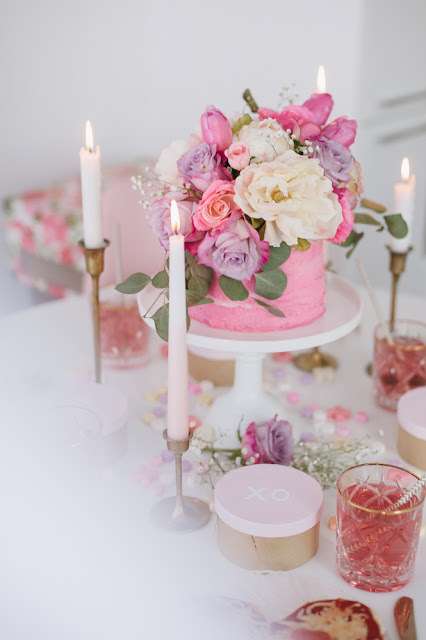 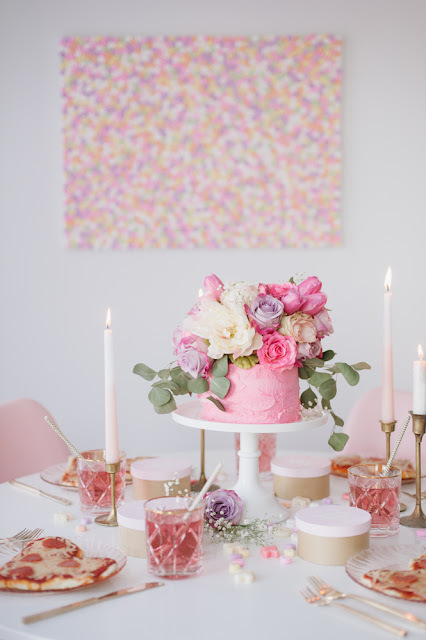 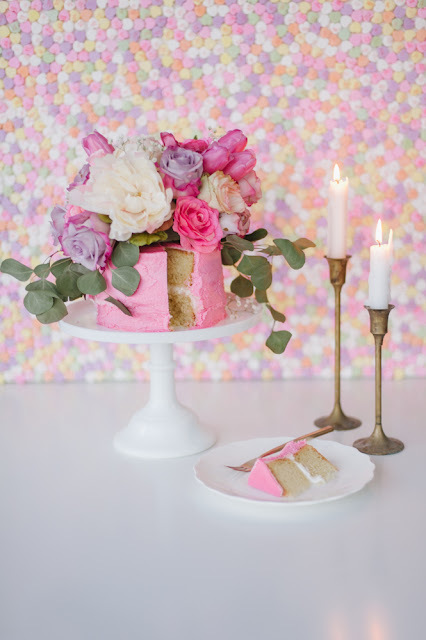 This Galentine shoot celebrates some of our favorite things, and creating and shooting it together was a labor of sisterly love (as usual..!). 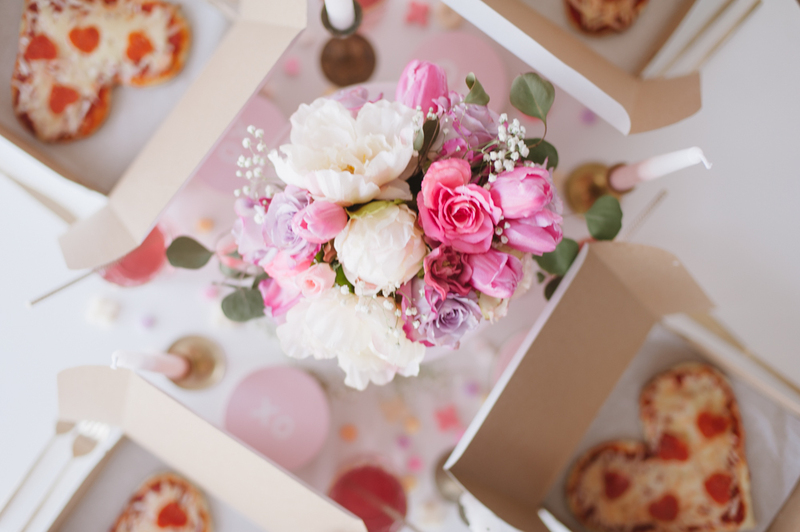 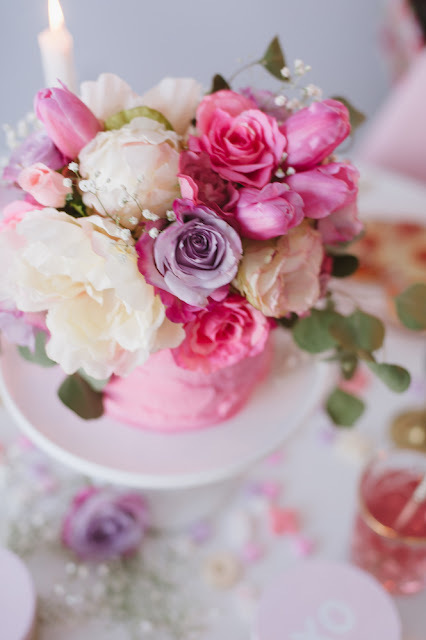 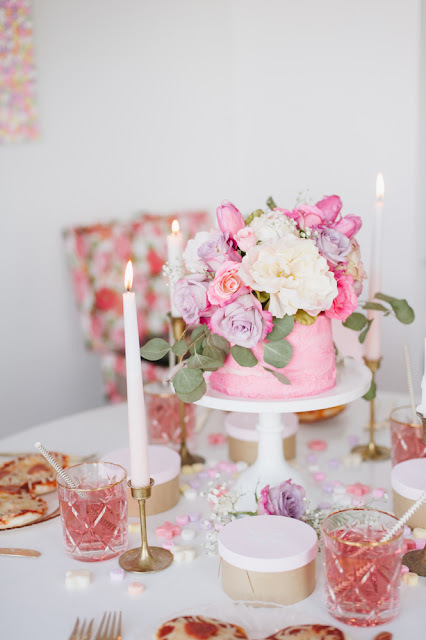 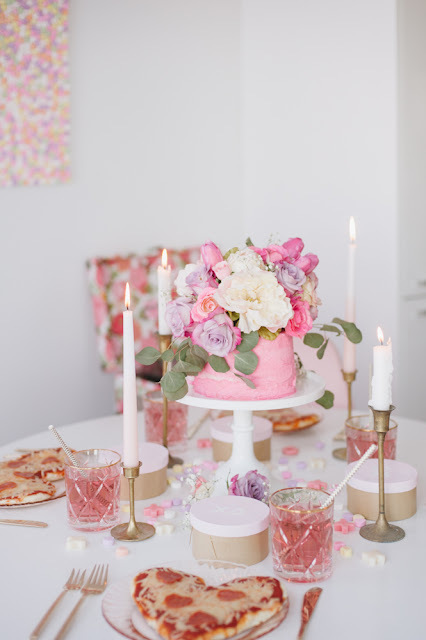 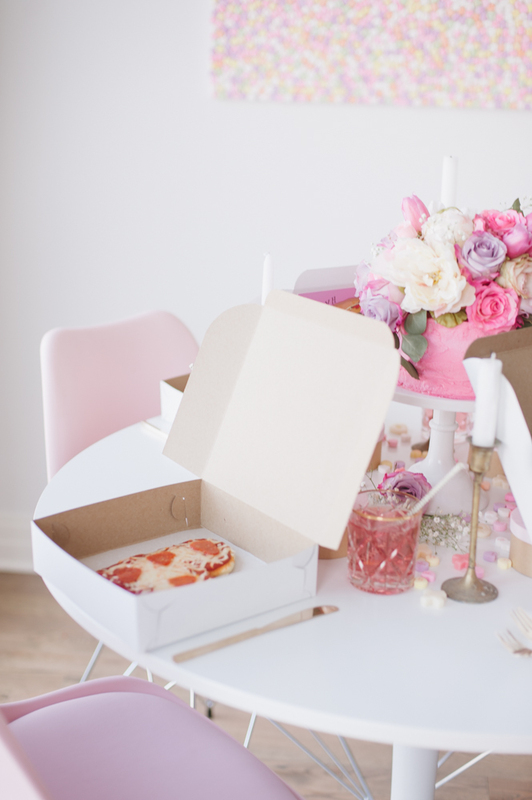 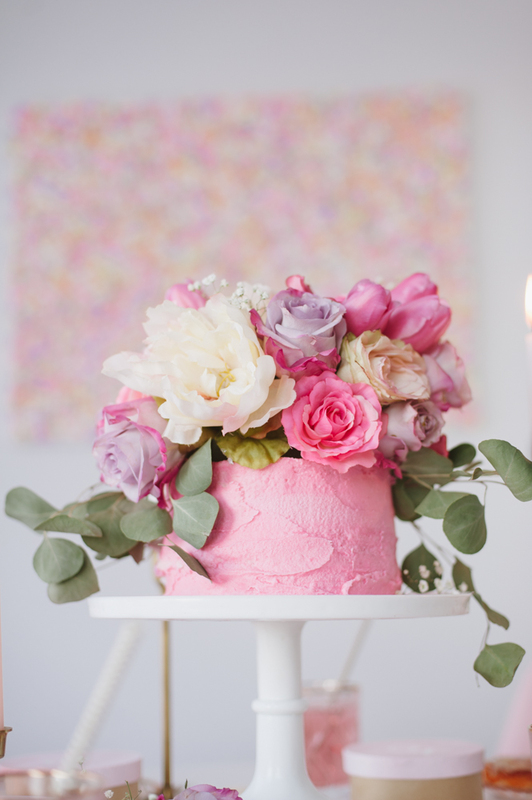 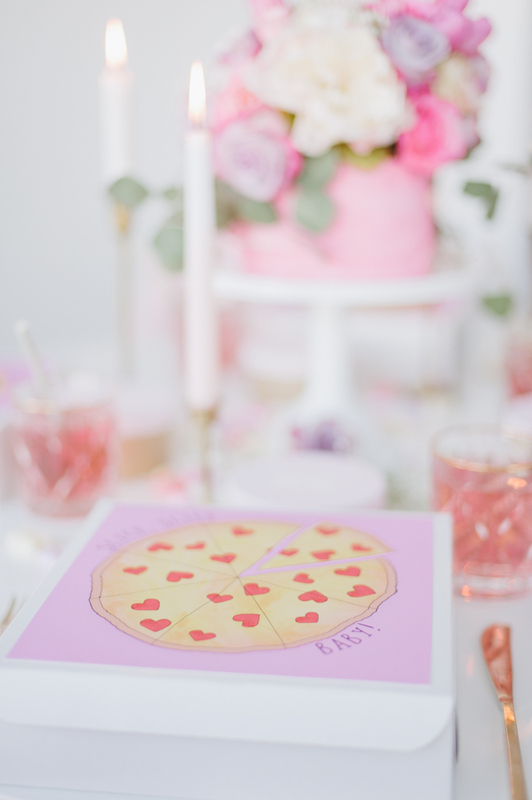 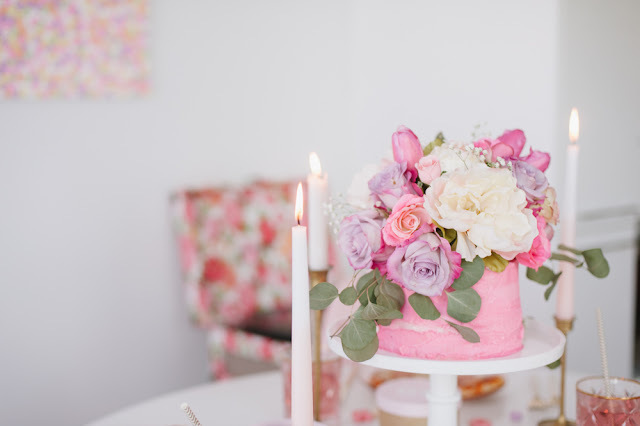 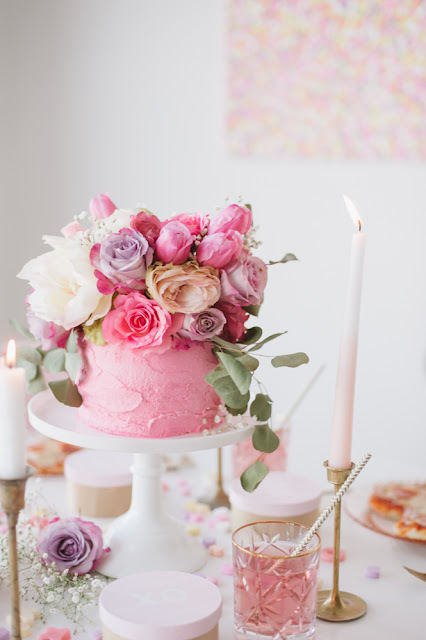 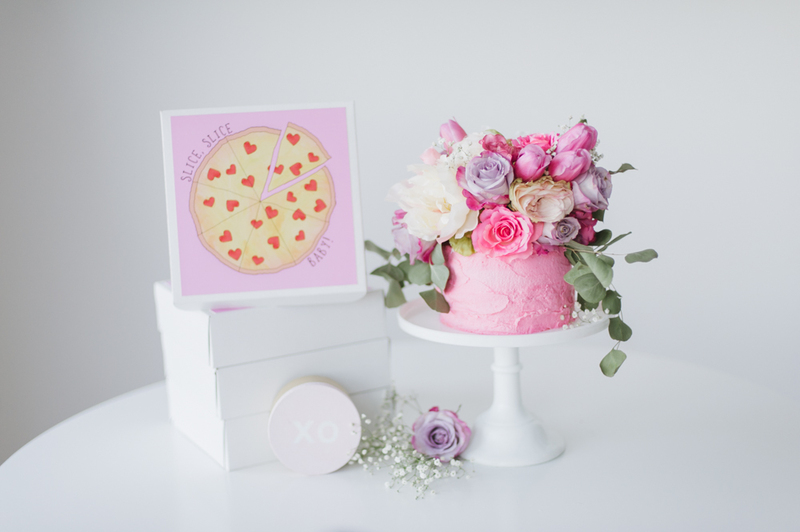 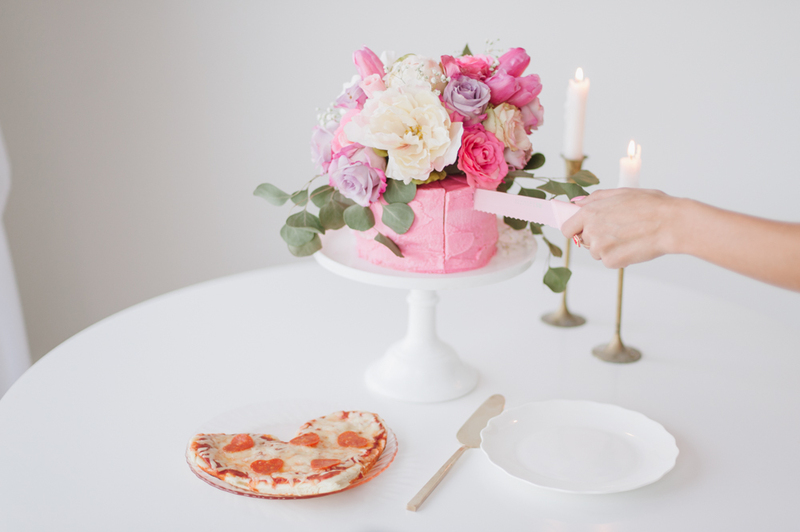 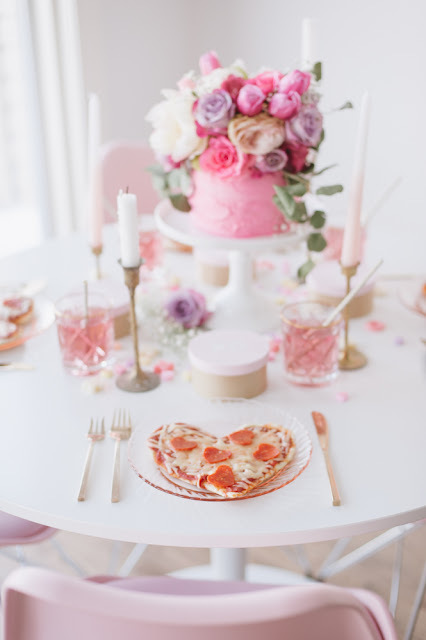 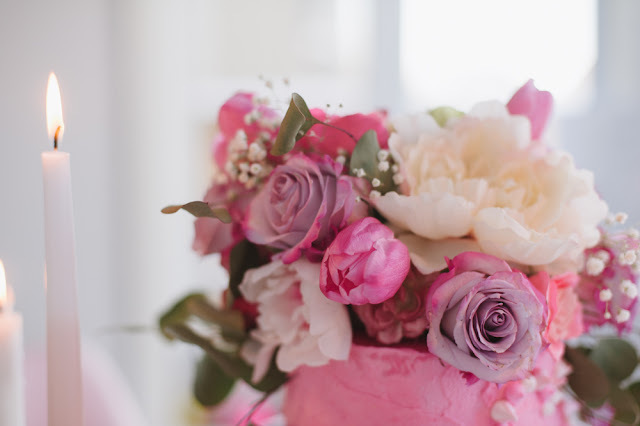 Ya'll know we love cake, flowers, crafting, and pizza. 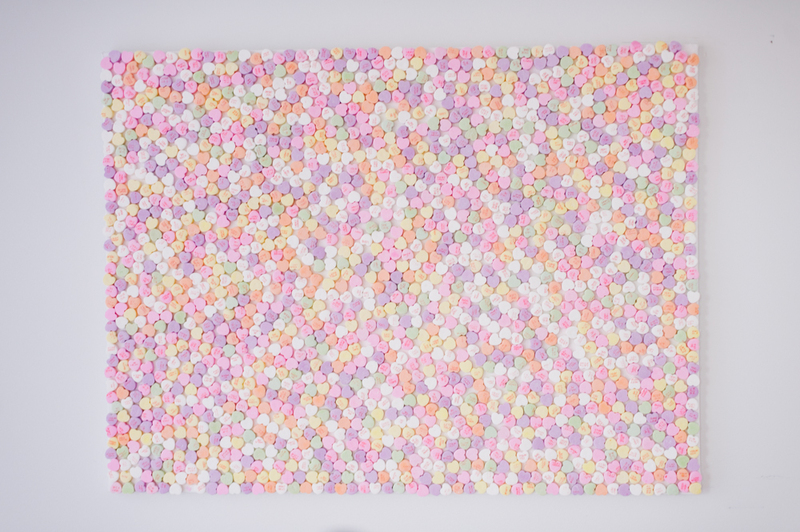 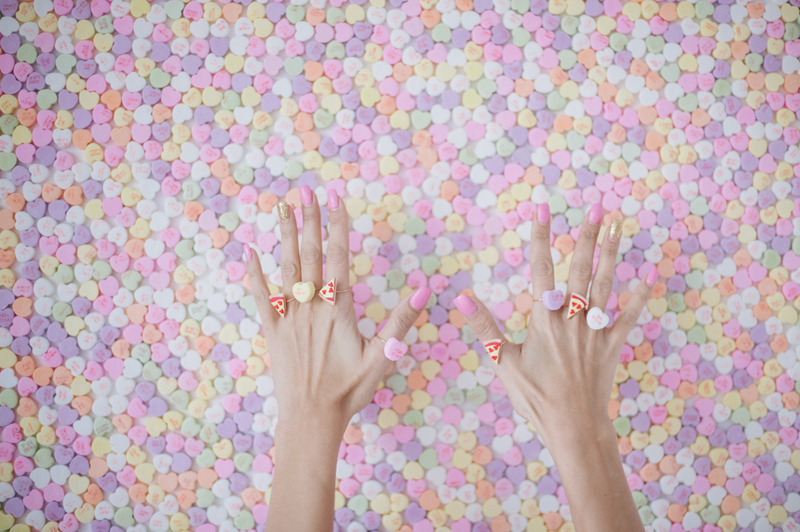 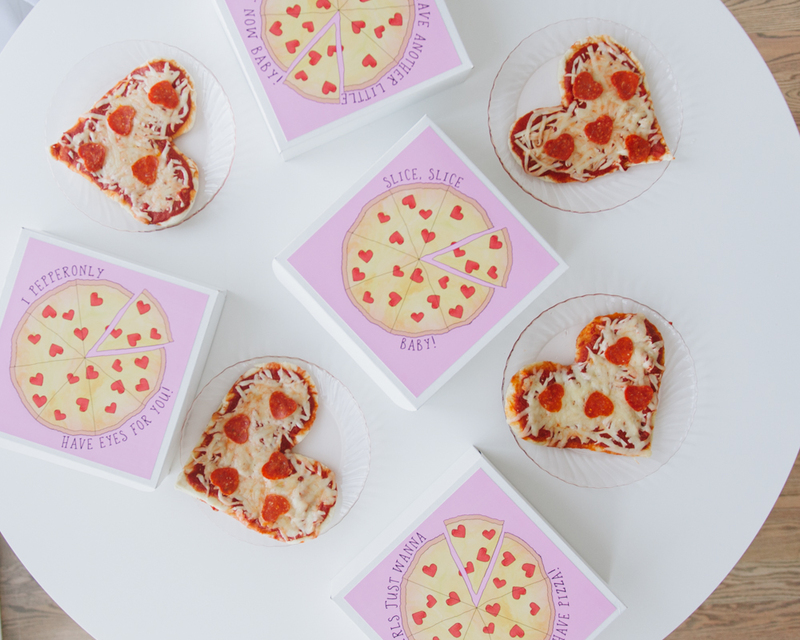 So here it is, some crafty Valentine inspiration for ya'll. 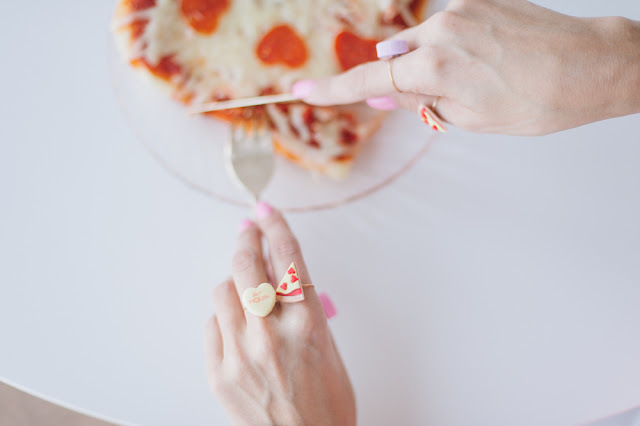 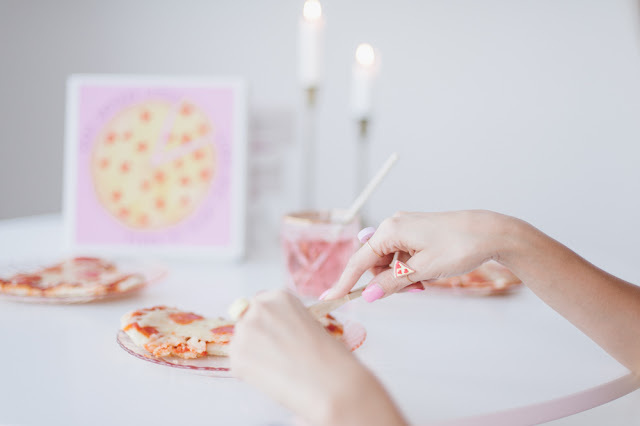 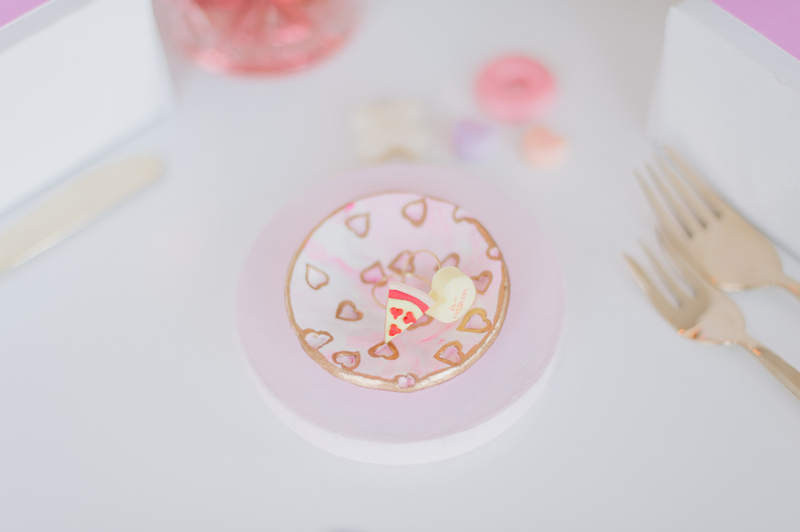 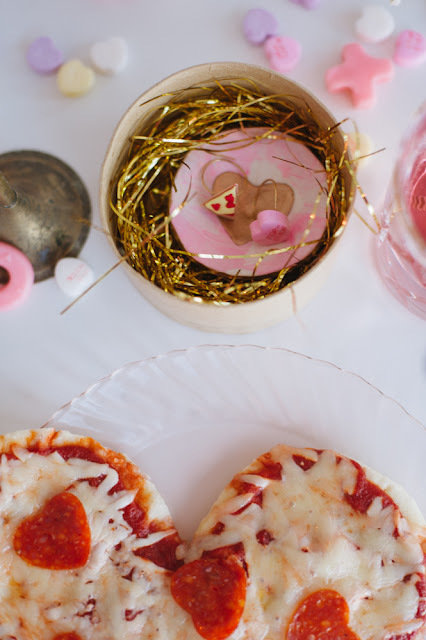 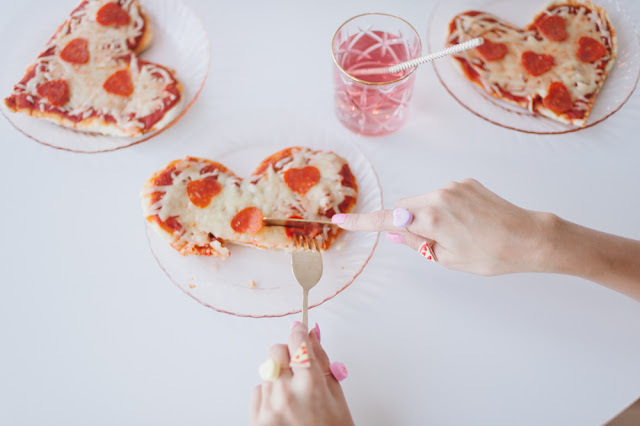 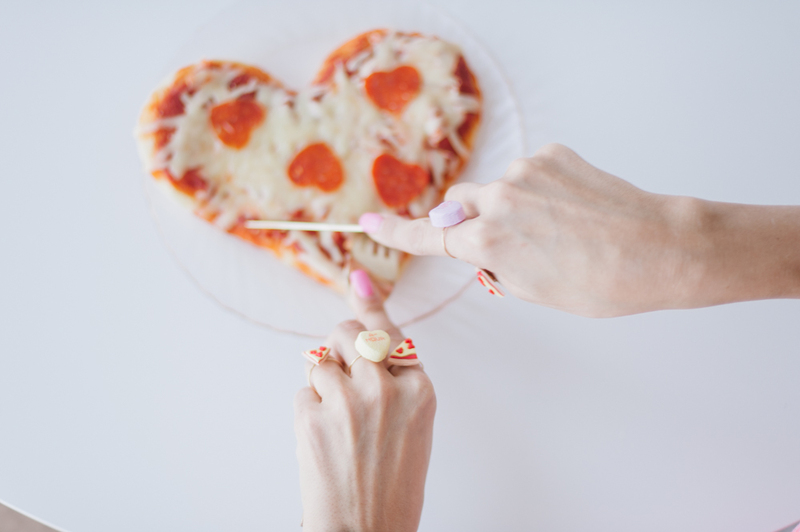 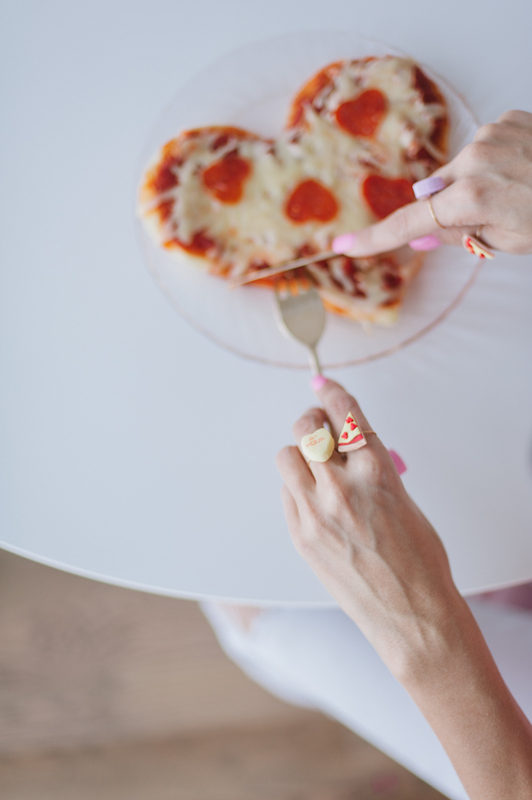 Pizza Friendship Ring and Ring bowl DIY tutorials here! 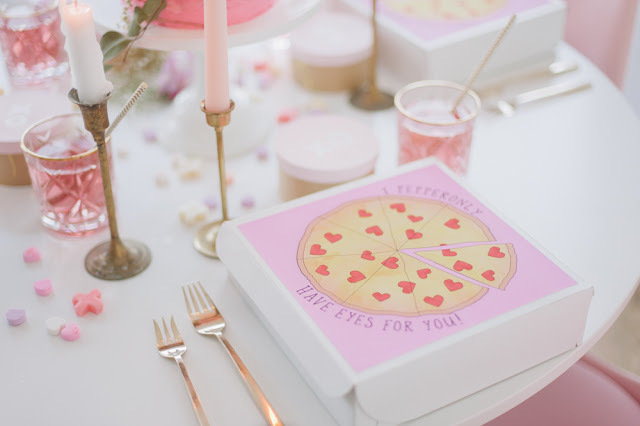 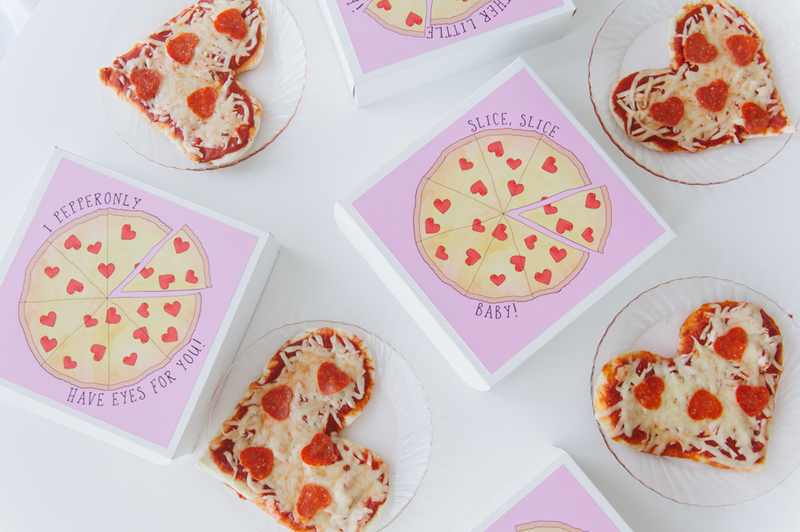 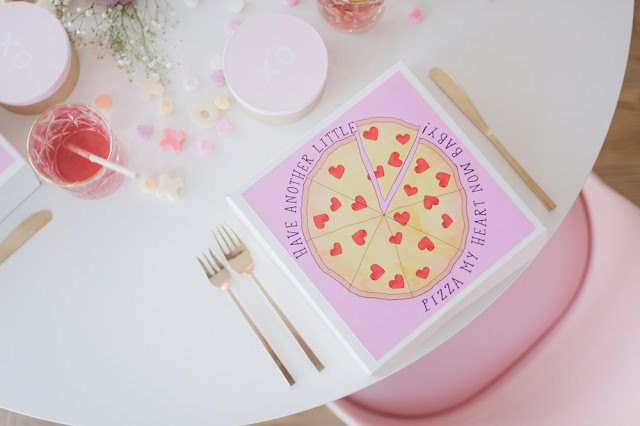 Pizza Box Printables & Pizza Recipe here! 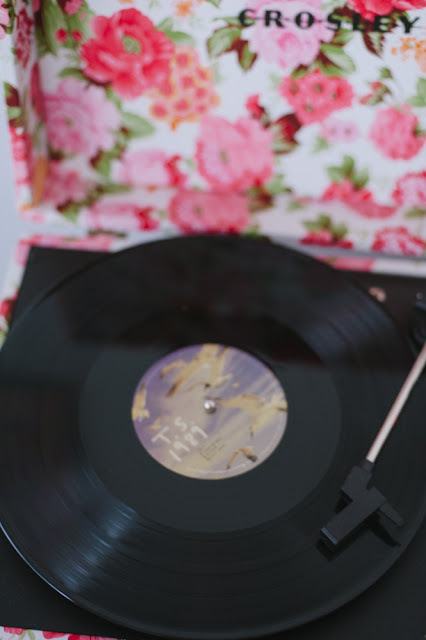 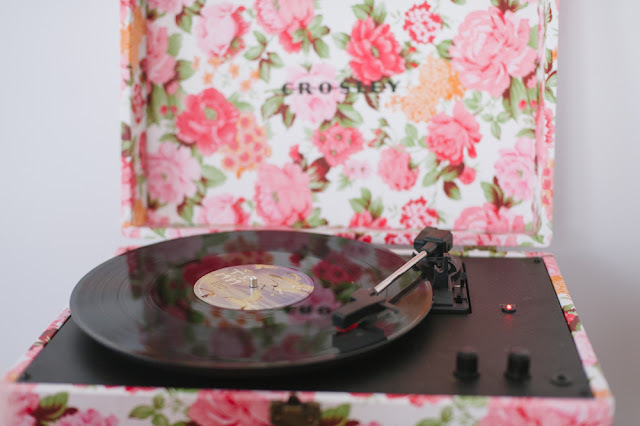 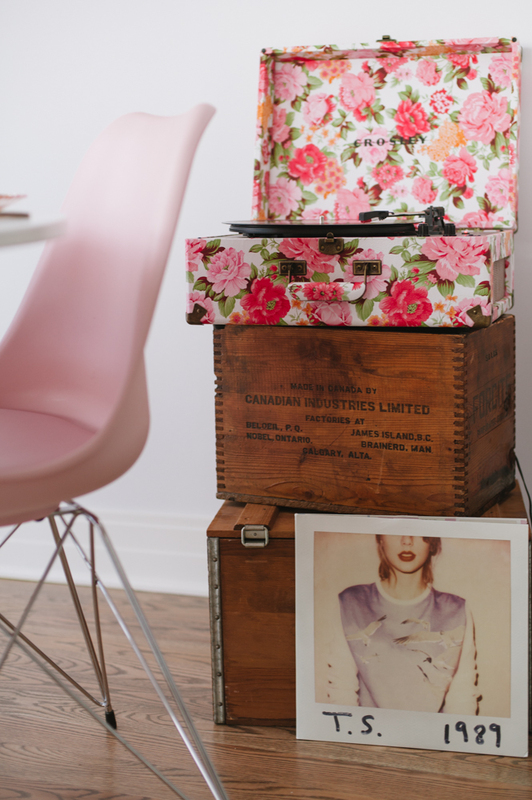 A little T-Swift on the record player is necessary.